Following the pair’s Spring/Summer 2018 collaboration, HYKE rejoins The North Face for an expansive range of winter essentials. The Japanese label primarily focuses on womenswear, but offers outerwear loose enough for anyone, complemented by a variety of genderless accessories. Focusing on a color palette of navy and army green, a variety of down jackets and extra long coats elevated by extended zipper pulls are at the core of the seasonal drop. 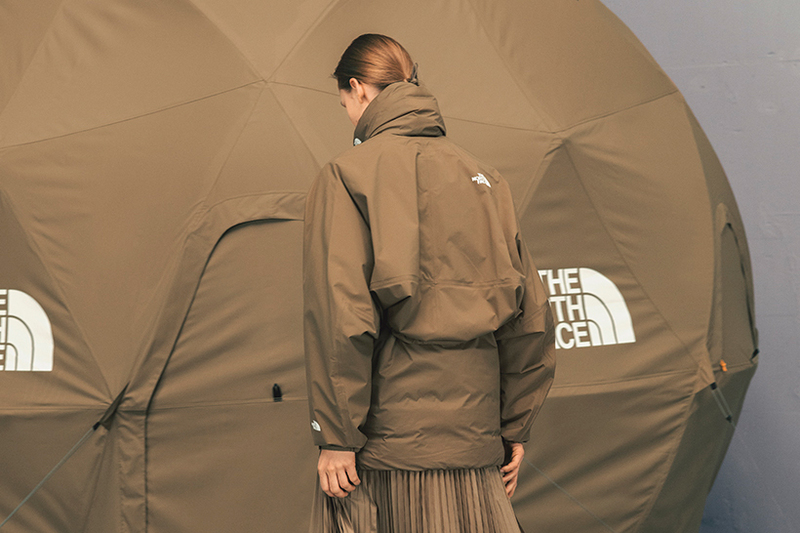 Contrasting with the ankle-length layering pieces, HYKE reintroduces collaborative bolero jackets, along with pleated shell skirts as a feminine revision of The North Face’s signature outdoorsy aesthetic. Collarless pullovers — available in breathable cotton and down varieties — place The North Face branding front and center, while minimized logos appear on accessories, which include giant Nupste boots, woven belts, enormous down capes and zip-up neck gaiters. Take a closer look at the functional range on HYKE x The North Face’s website and look for it to hit Japanese The North Face stores on August 12. Most recently, the Japanese, Goldwin-owned branch of the American label introduced GORE-TEX lined accessories. JanSport Salutes to the '70s Military Garb in Its Monochromatic "Standard Issue Collection"
Via backpacks, duffels and waist bags. The LVMH Prize-winning label takes its cold-weather garb to the streets. He was replaced by a 20-minute Drake set. A 21st take on the classic courtyard house.